Norwegians blown over by strong winds in viral hit! Video footage has emerged showing Christmas shoppers fighting to stand up as strong winds buffeted the Norwegian town of Aalesund last week. Everyone loves to complain how awful airplane food is - inedible, greasy, and an embarrassment to meals on land. But, there are few airlines that actually bring gourmet goodness to 30,000ft. 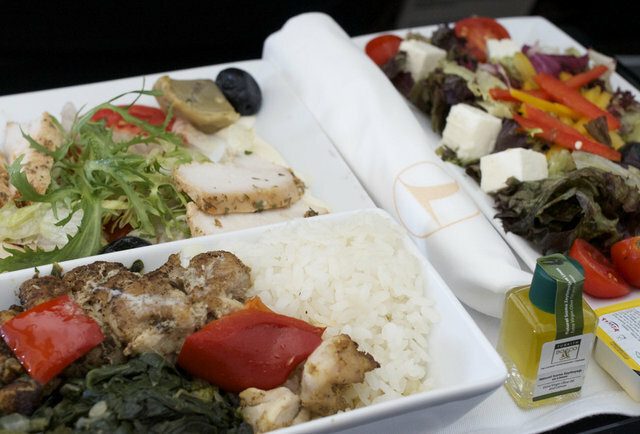 Once again numero uno for 'best food and beverage' at this year's Passenger Choice Awards, Turkish airlines takes the delight and brings it up a notch come meal time. As passengers board, they're greeted by the flight's chef (complete in whites and silly hat), as if they’re walking into a restaurant. Go local and opt for appetizers like stuffed eggplant marinated in olive oil, followed by grilled beef with creamy eggplant. 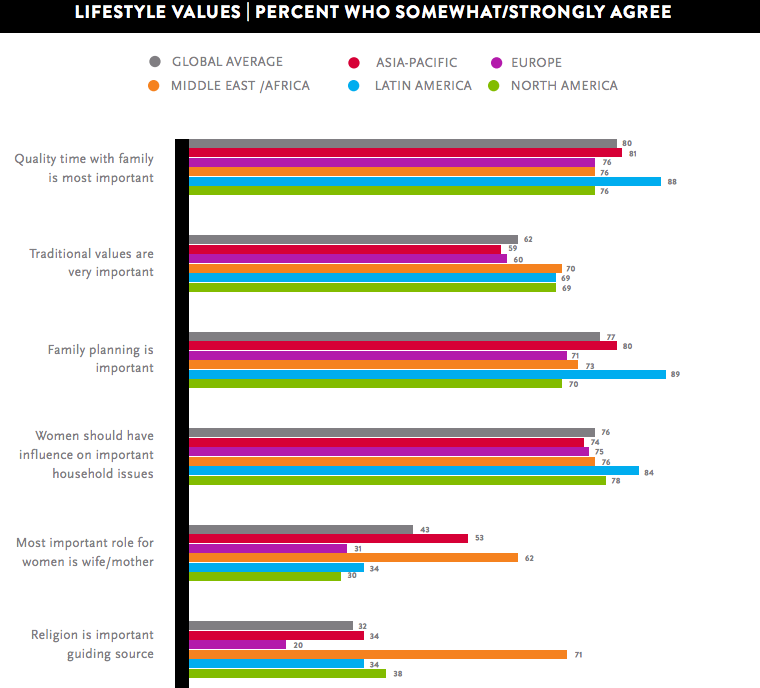 YOWAY ™ - International Travellers' Support Program! Travel on your own and with comfort! Get to know us on www.yoway.com. 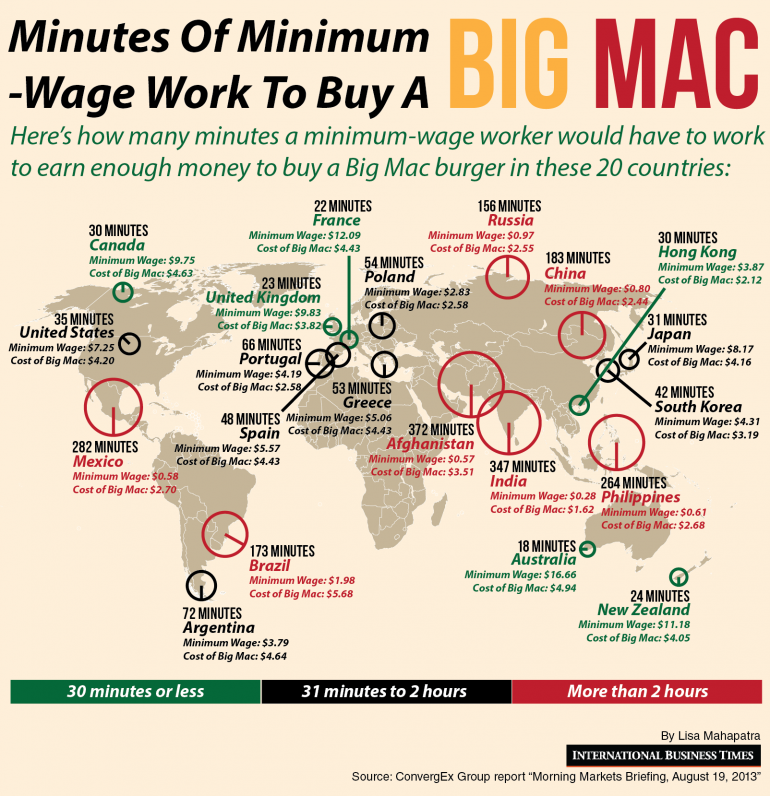 Just 18 minutes of minimum wage work in Australia earns you a Big Mac, but in Afghanistan and India it takes around 6 hours. We are glad to introduce YOWAY ™ - International Travellers' Support Program! According to the Spanish specialists, a million Russian tourists. will come to Spain this year. 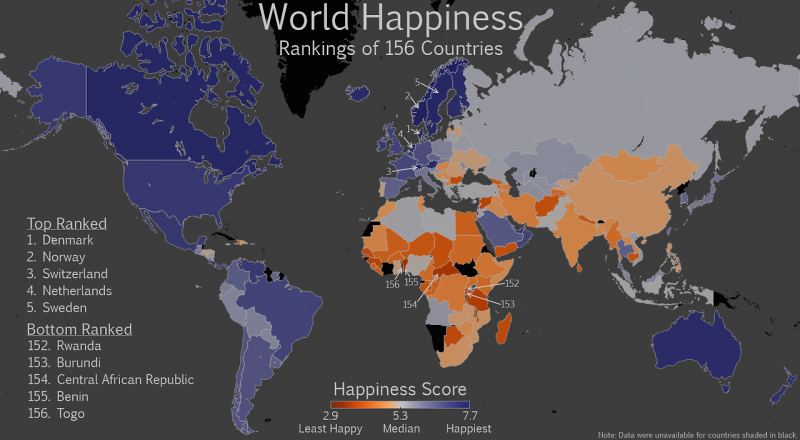 Spaniards respected tourists from Russia, as they say - Russian very generous. So it is, traveling in Spain is not the cheapest, so usually this beautiful country is visited by wealthy Russians. There is a very interesting fact: Russian signs begin to appear at the most popular resorts in Spain. 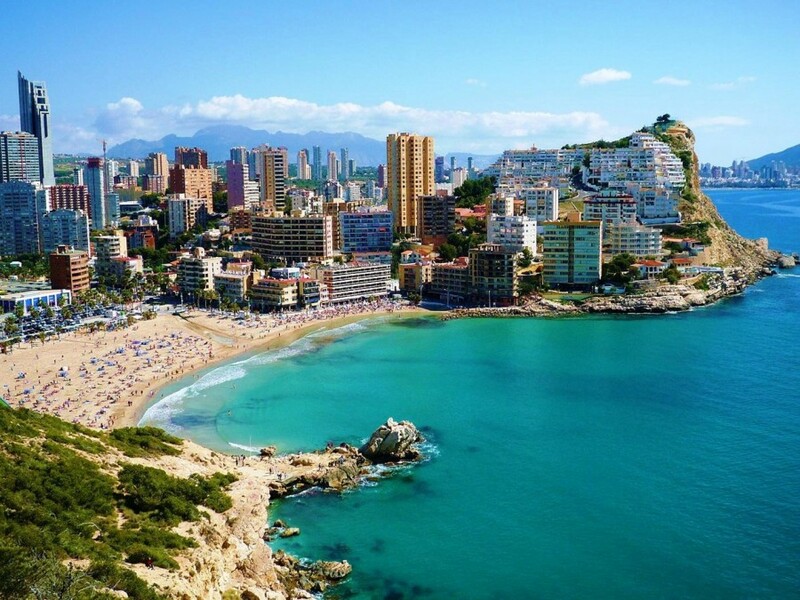 It is said that Spanish businessmen are beginning to care about Russian tourists and adjust to them, making their stay more comfortable. 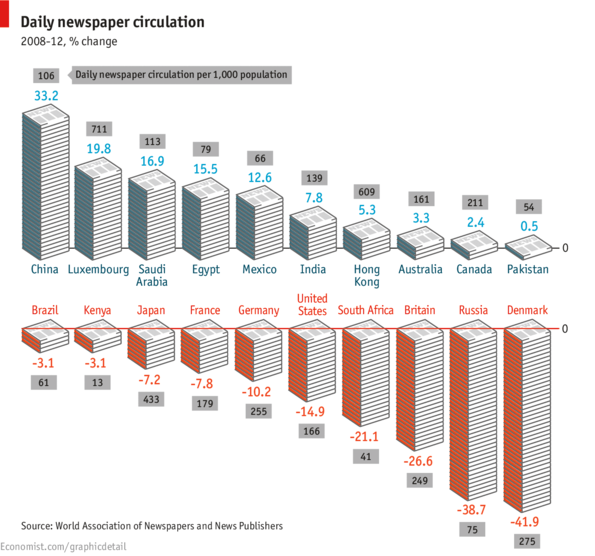 Since 2008, daily newspaper circulation in Russia has dropped 39% and is now 75 newspapers per 1000 inhabitants. 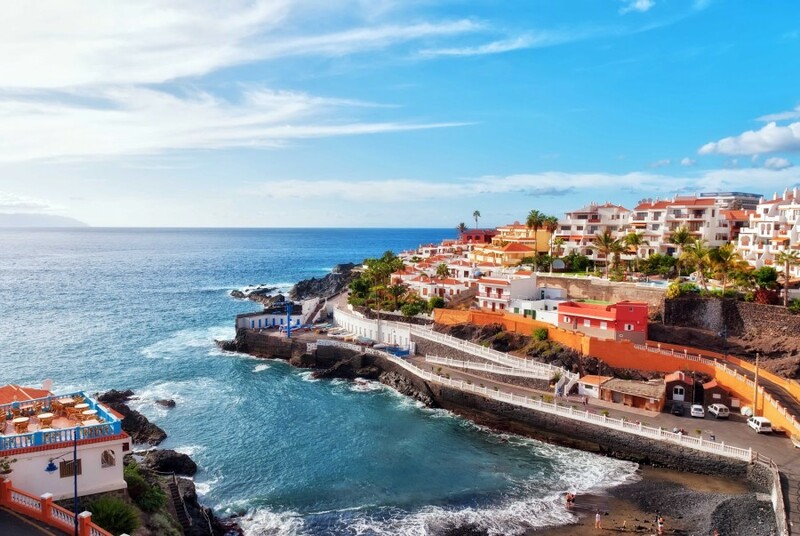 According to the Tenerife Office of Tourism, in the first four months of 2013 the number of passengers arriving in Tenerife from Russia increased by 73.9% compared to the same period last year. For example, from January to April 2012 18,900 of our fellow citizens visited the island and this year the number of arrivals from Russia was already 32,900 people.